Picturing Me, last week's major piece, about my sorry history with being photographed. And Then There Was This At The Store with, of course, Ninja Turtle content. Statistics Saturday: Fifteen Things Humanity Got Around To Before The Writing Of ‘Hotel California’, a shocking expose of human priorities. Whew! which almost explains itself. On The Convenience Store Shelves with special punching content. Caption This: Why Even Spend The Whole Episode In Smooth-Floored Caves and the answer is because Star Trek . Oh yeah, A Labor Of Like is posting again, pointing to another humor blogger I like. Picturing Me Some More, this week's major piece, trying valiantly to get back to Selfie Leagues. 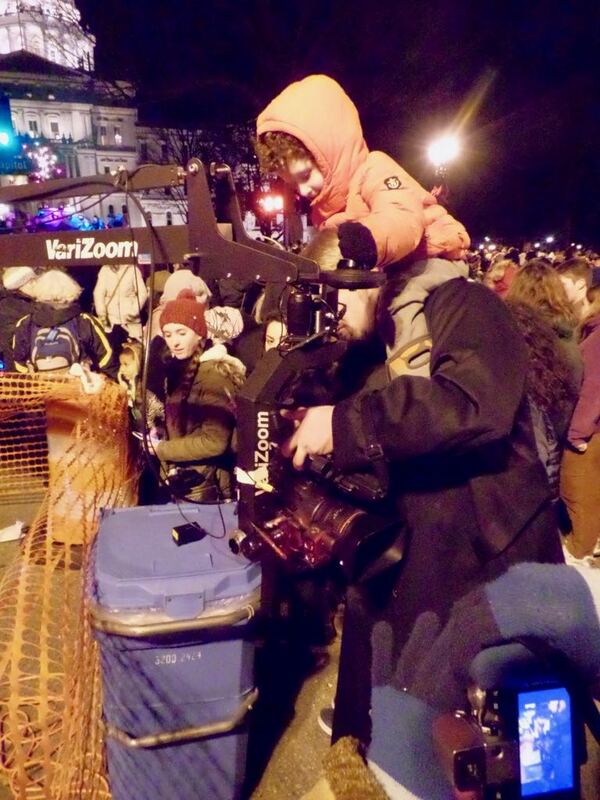 How about some pictures of our late-February trip to Ann Arbor? I'm up for that. From the basement of Ashley's bar. We go to the bar when we're in Ann Arbor, because they serve Stilton fries. We've never seen the place busy enough that the basement, with this wall art, has been used for anything but a place to store chairs. 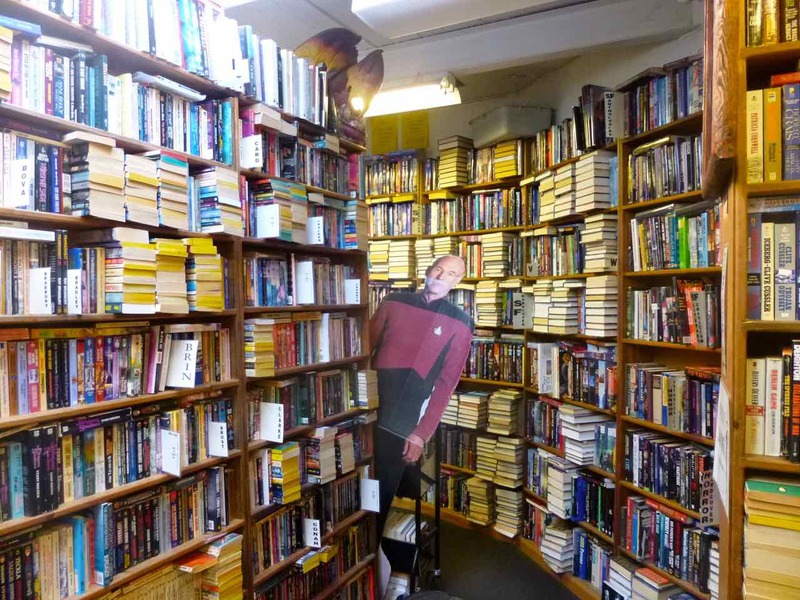 Captain Picard, creeping on you, in the science-fiction section of the Dawn Treader used book store. Yes, that's a dragon near the top of the shelves. 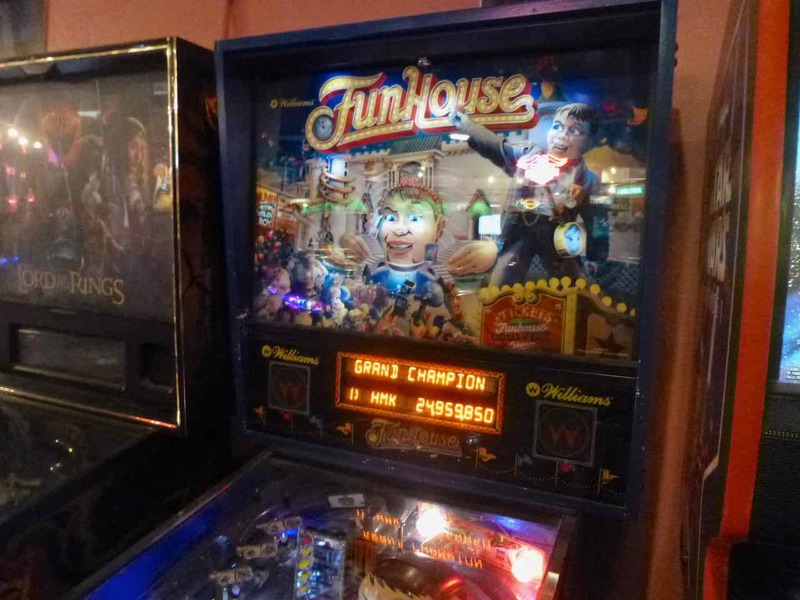 bunny_hugger is the Grand Champion on FunHouse for the first time. This was at Pinball Pete's Ann Arbor, on a table with a lot of problems. It was awarding way too many jackpots, and yes, some of her score was from undeserved jackpots. 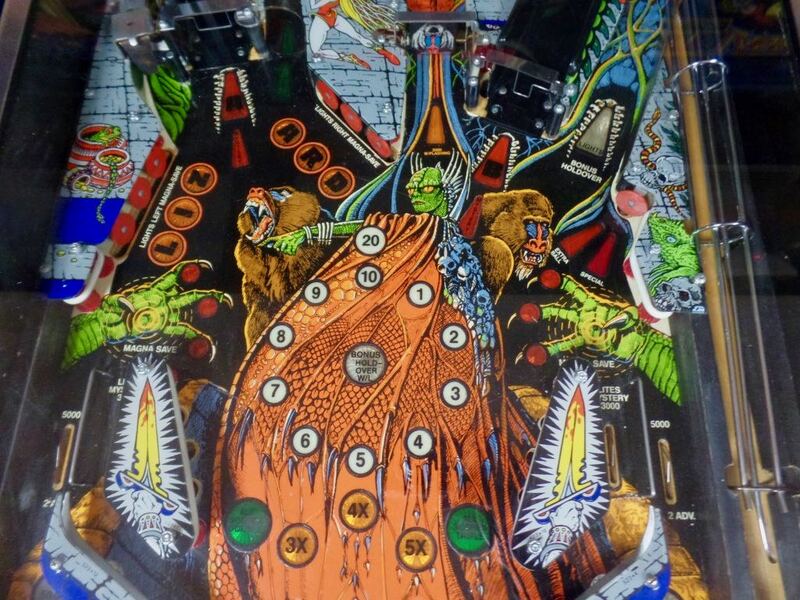 Some of it was also from having a ball stuck and cleverly avoiding dislodging it during multiball. But given the rough playing surface and the number of shots that weren't working it's still amazing to get a solid 25 million points like this. 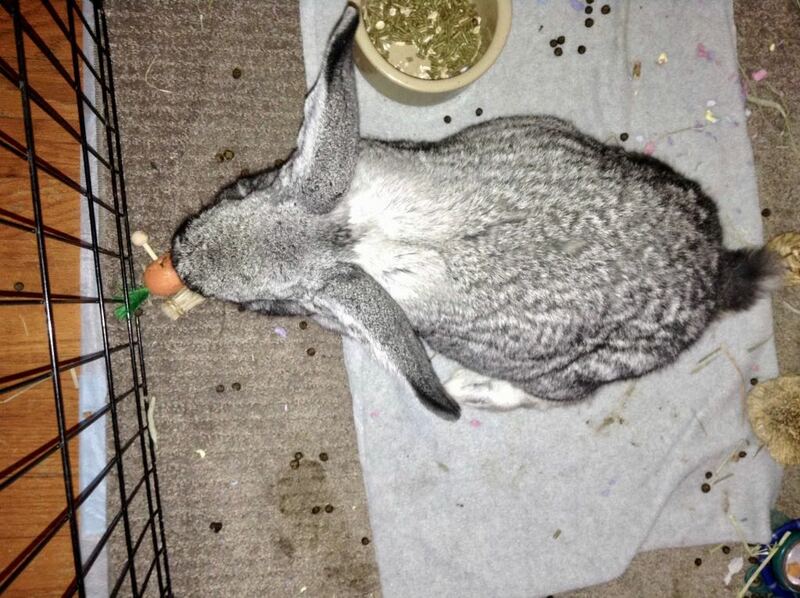 She was dancing and ought to be. 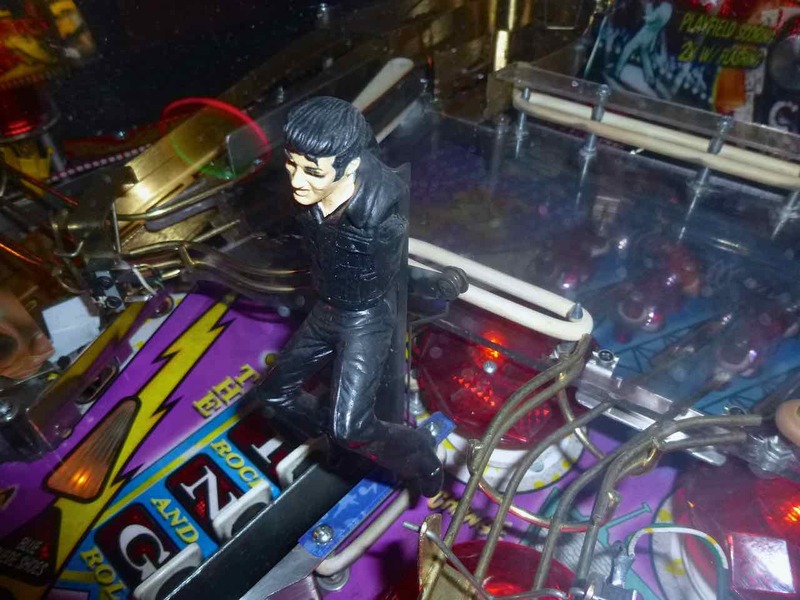 The stand-up Young Elvis prop on the Elvis pinball table at Pinball Pete's Ann Arbor. During points in the game, his hips swivel and his arms ... are totally supposed to be attached to his body. They've broken off and are behind his body, but the wires connected still quiver so his detached limbs twitch in not-at-all disturbing ways. 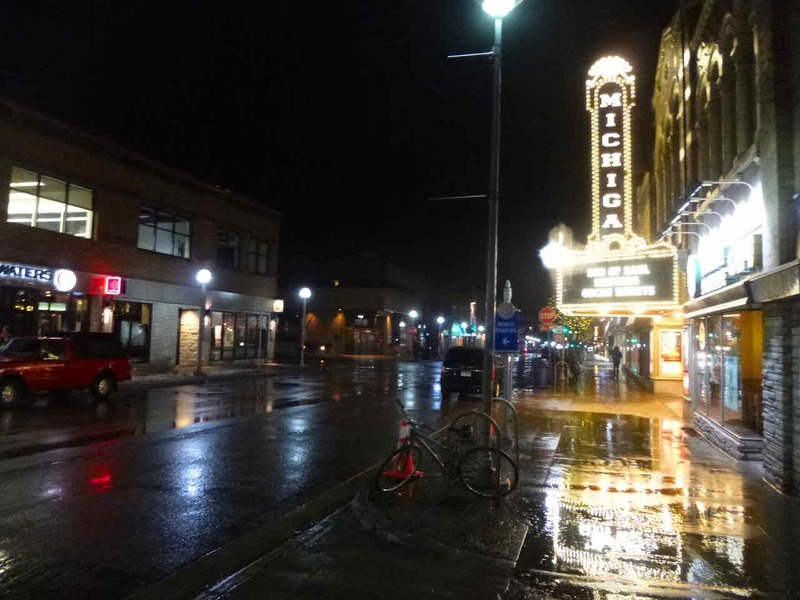 Street scene: the Michigan Theatre by night. Also, our Best-Of album cover. Currently Reading:	 Gulp: Adventures on the Alimentary Canal, Mary Roach. PS:	Reading the Comics, April 10, 2016: Four-Digit Prime Number Edition, what's going on in my mathematics blog.